Afghanistan, 19th/20th century. Bowl shaped. 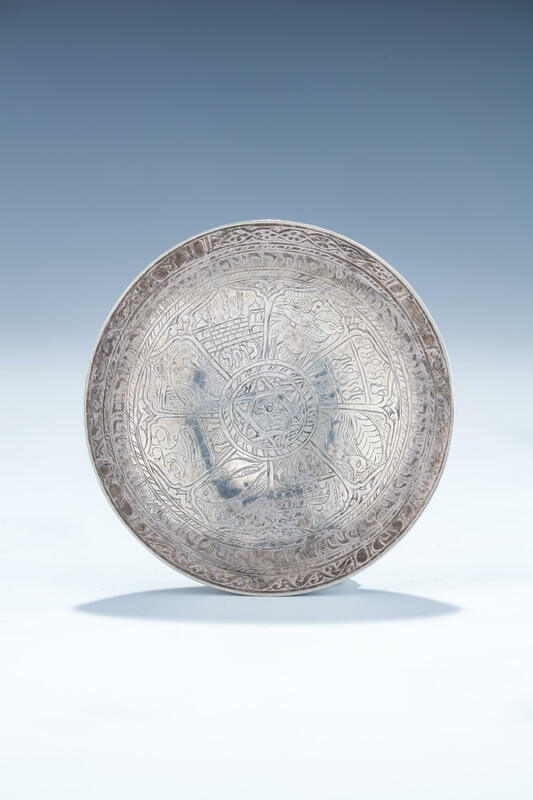 Inscribed with various holy land scenes, fish, birds and blessings. 3.2” wide.